Each city has it’s own special dystopian flavor depending on the setting of the particular films. For example, only San Francisco has to deal with the thriving eugenics industry of 1997’s Gattaca and only Chicago has to remember what happened in the Divergent series. But some events effect all cities equally, like the inevitable ape revolution depicted in Planet of the Apes or the Eloi-Morlock division of The Time Machine’s far distant future. All these factors lead to each city being completely destroyed a varying number of times, which would no doubt have an effect on the housing market. Of course, being real estate nerds and not regular nerds, the good people at Redfin make a few minor mistakes in their assessment of the country’s future. 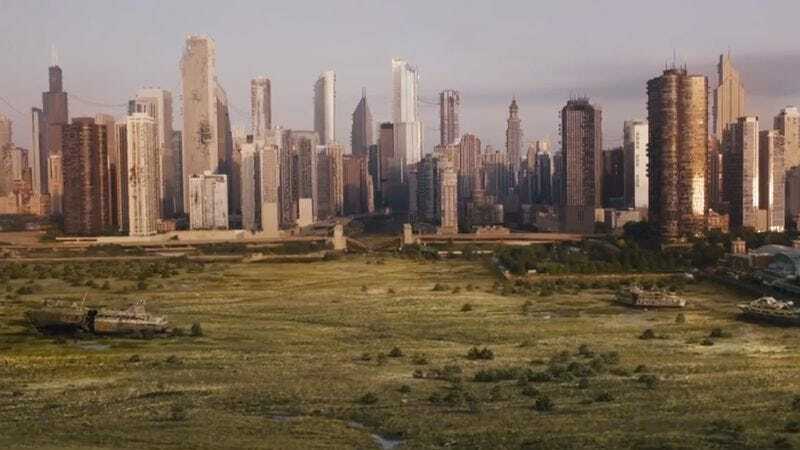 For example, they incorrectly claim that Chicago in 2080 will be part of Judge Dredd’s Mega-City One, which only covers the eastern seaboard, and they incorrectly remember Bicentennial Man as a movie worth remembering. Regardless of these minor flubs, these infographics are a good reminder that, even though things look bleak for America right now, we can all look forward to The Running Man becoming a reality later this year.